In our newest series, “Ask the Expert” brings questions from readers to experts in the industry to provide information on vehicle performance that can be immediately applied. We invite readers to submit questions concerning all types of vehicle performance and we’ll find an expert to answer the question. To our series, we reached out to lubricant experts Royal Purple to find out how a lubricant (engine oil, etc.) can affect performance for a towing vehicle. The answers come from Royal Purple’s Manager of Partnerships & Events, Kyle Neal. Read Part I on tow vehicles here, and if you have additional questions, let us know. 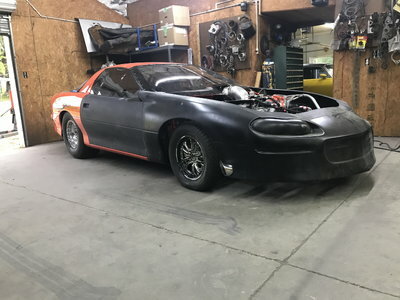 What fluids/lubricants does Royal Purple offer for drag racing applications? 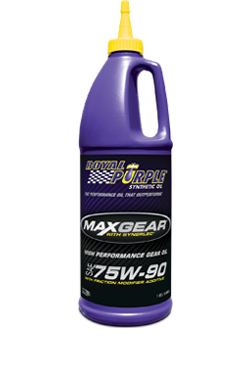 Royal Purple’s Max-Gear, Max-ATF and Synchromax oils offer outstanding performance and protection to driveline components such as axles, automatic transmission and manual transmissions. 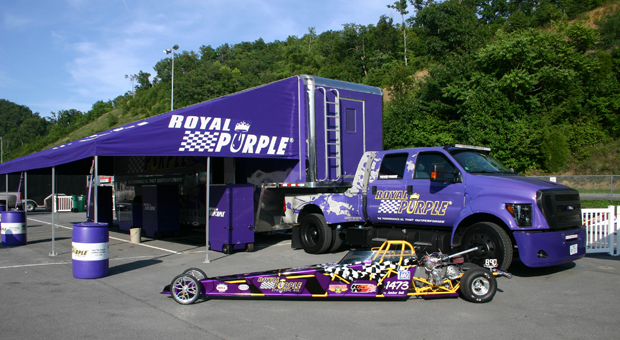 Royal Purple XPR and HPS engine oils are the best choices for competition vehicles. Purple Ice is a performance radiator conditioner providing protection against corrosion while reducing engine temperature but is safe for track use. Always use the best lubricant they can buy. A top-tier, premium synthetic lubricant will always outperform the comparable conventional lubricant. Using the best lubricants, with appropriate maintenance will result in the best performance and longest useful life possible. How can lubricants affect the way a drag car performs on the track? By optimizing lubricant selection, performance of the vehicle can increase. By using premium synthetic lubricants, likeRoyal Purple oils, often lighter viscosity, more efficient oils can be selected, further reducing parasitic loss in the engine and drive train. This allows more power to be put to the ground. Also, using a superior lubricant will reduce the likelihood of many kinds of failures.